Venture into the wild back roads of the Sierra Madres while driving one of our fuel-charged off-road buggies. 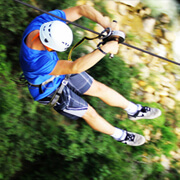 You will not experience an adventure that can compare to exploring the lush jungle environs near Puerto Vallarta, where you can see the emerald interior of this picturesque region. Our fully-guided expeditions from Puerto Vallarta will let you discover the forests and rural landscape outside of the tourist areas; our excursions motor through the Sierra Madre foothills to discover the bio-diversity of this area. 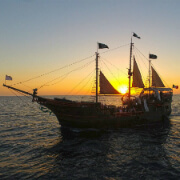 You will view the astounding beauty of the indigenous of plant and animal life near Puerto Vallarta. These off-road adventures also make some stops, allowing participants to enjoy some hiking along nature trails, cool off in a refreshing secluded pool, and partake of a scrumptious picnic lunch. The pristine wilds outside of Puerto Vallarta is home to an array of remarkable natural attractions, including mountainous slopes, lush forests, rolling hills, hidden waterfalls, flowing rivers, and sweeping valleys. You will also be surprised and delighted by the diverse and unusual native plant and animal life of this region. 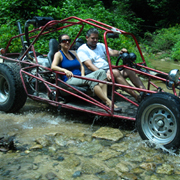 Our specially-designed jungle buggies are not the flimsy fiberglass dune buggies that were featured in the Frankie and Annette beach movies of the Sixties; these vehicles are built for rough and tumble off-roading with reinforced frames and cages, powerful engines, and resilient suspensions. Our crew of mechanics thoroughly maintains our vehicles and performs daily safety inspections in order to ensure maximum performance and optimal safety for participants while you explore the sprawling back country near Puerto Vallarta.